I'm American! 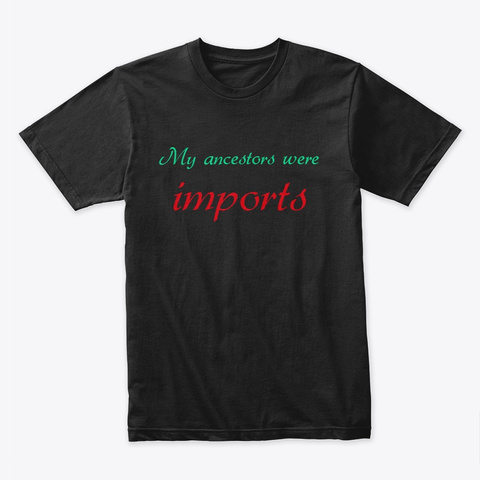 My ancestors were imports. If your ancestors were imports and not immigrants, this is for you. Show pride in your heritage with these cool t-shirts, tank tops, and other clothing items for men, women, and children. The ancestry of most African-Americans began with the arrival of the first slaves on the North American continent in 1619. Our ancestors were imports, not immigrants. Use the drop-down menu to check out the entire line. Don't miss the cool tees for kids. Created by Lawrence D. Elliott, author and contributor to the best-selling Chicken Soup for the Soul book series.